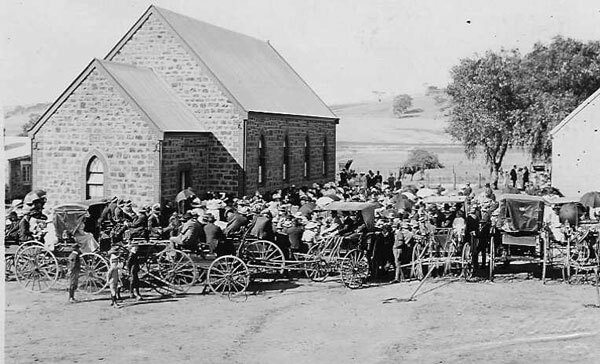 Once upon a time around the end of the 19th century, this 72 acre patch of real estate included only a few acres of vineyard, with most of the area being dedicated to cropping and dairy cattle. 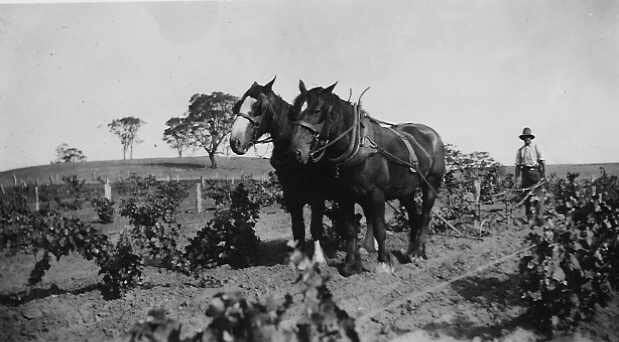 At the start of the 1930’s Oscar Semmler, Wayne’s grandfather bought the block and more vineyard was planted, but it remained primarily a grazing area for dairy purposes. Oscar’s Dad referred to the dirt as a “wonder of creation”, a fact borne out by the wine now coming from it. The vineyard of that time, while reflecting the fortified market of the day, did not predict the potential to produce the rich varietal flavours found in current production. Oscar’s son Ken returned to the Barossa Valley in the early 1970’s after first spreading his wings as a fighter pilot with the RAAF, dodging anti-aircraft fire above the jungles of Vietnam. Then in 1975, the transition began with Ken starting the planting of the beloved Shiraz, and it is this first area of Shiraz which provides the precious component of Dutschke Wines. Currently forty five acres are planted with Shiraz making up one third of that area, the balance including Merlot, Cabernet Sauvignon, and Chardonnay. Most of the fruit gets passed onto other Barossa winemakers. It’s rather fascinating to note that all varieties have performed well, both in an analytic sense and the all important consumer taste test! 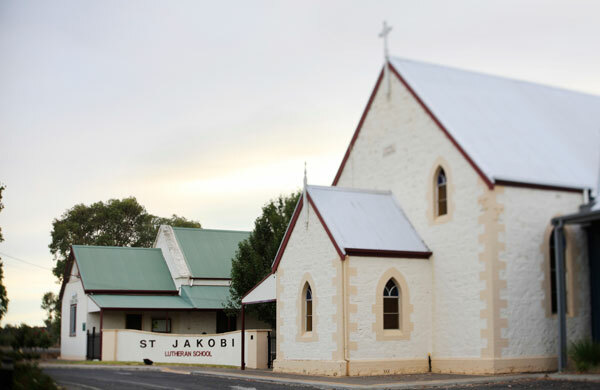 St. Jakobi Church & School, present day. In 1990 Ken and Wayne decided to keep some of these grapes for themselves and start producing wine of their own from this vineyard under the brand “WillowBend”. Production never intended to be a big time operation, with the bulk of the fruit each year being delivered to the Krondorf and Mildara Blass Winemakers. Then with the 1998 vintage release, interest from the US led to the name being changed to Dutschke Wines and production for future vintages was revved up to support this market and many others to follow, not to mention an increasing number of thirsty mail order customers!